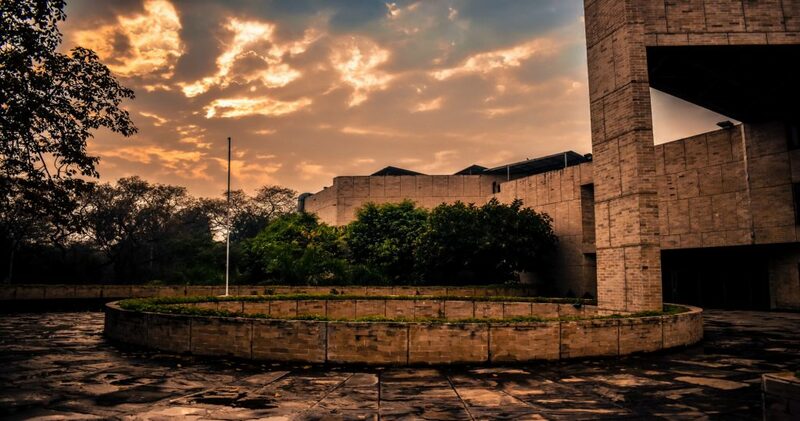 Enter IIFT, and you will find yourself greeted by the “Wings of Wisdom”, which symbolises freedom and knowledge, two qualities that every IIFTian imbibes during the course of his two years stay at IIFT. Old Hostel and C9 is the abode of the First Years. IIFT has a unique concept of roomies and loomies, wherein six people in two adjoining rooms share a common bathroom. This just means that you have not two, but five partners in crime. Five souls to share your joys and your sorrows! Your week begins with a Personality Development Program (PDP), a tradition taken up in very few B-schools, where the seniors coach the junior batch on the attitude and demeanour expected of a manager. You prepare tonnes of Powerpoint presentations and spend sleepless nights. But most importantly, you learn that 11:59:59 is 11:59:59. The junior batch is rewarded with a happening party at the end of PDP. IIFTians believe in “Work hard, party harder”. In my two weeks at IIFT, I have already slogged more than I have ever worked in my 2.5 years job. Add to that, the fascinating party at the end of the week, where you can let your hair down, and dance till you’re dead! When classes start, the Nescafe outlet at the basement of the Academic block is a saviour for students, rescuing them from getting a grade cut due to snoozing in class. You have workshops that help to balance out the seriousness of the first trimester subjects. The professors conducting the workshops literally make you dance and sing sometimes! The weeks are hectic with Guest Lectures, Information Sessions by Seniors, challenges and competitions floated by college, and by companies, along with regular classes. Seniors spend sleepless nights with you coaching you for the upcoming placements. When you start cribbing, they assure you that it’s only till Summer placement (IIFT being the fastest B-school to wrap up its summer placements). You are allured with the promise of “Quo Vadis”, IIFT’s biggest management and cultural fest, “Big Fight”, an inter-section war, TEDx, independently organized by IIFT, dreams of SEP (Student Exchange Program) and, some sleep! IIFT is a place that you can call home right from Day 1. It’s a place that instils a feeling of belongingness, as soon as you step onto the campus. It’s an institute that you are proud to be a part of and hope to make the institute proud of you someday, too. It’s a place where seniors are sometimes your teachers, sometimes your parents, sometimes your inspiration, and sometimes your friends. It’s a place where the whole batch unites as a family and covertly pledges to stand up for each other at all times. IIFT does not just remain a college for you, it becomes an integral part of your life. I would want to work for Aditya Birla Capital Limited (ABCL). They are one of the largest financial service companies in India. Even though I come from an engineering background, I have always had a keen interest in finance. I believe that for any company, finance and accounting play a very essential role. Working with ABCL would be a great learning opportunity for me, and a great platform to begin my career with.